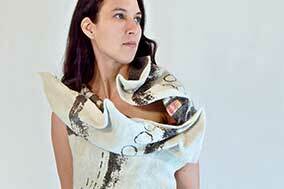 Angelika Werth has worked in Fashion, Fiber and Wearable Art. She started her practice with a three year dress-making apprenticeship; worked for Yves Saint Laurent in Paris, France and received a degree as Master dress-maker-designer, she immigrated to Australia, then to Canada. Angelika has had multiple solo exhibitions including her Waistcoat / Wastecoats exhibition at the Alberta Craft Council in Edmonton in 2006, and the Brassiere Series at the Canadian Craft Museum in Vancouver in 1997. Werth participated in invitational / curated group exhibitions in Canada, France, Japan and England and in the United States. 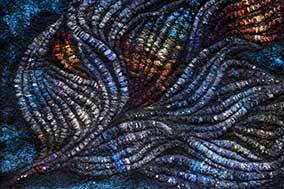 Her work has been accepted into over 30 juried exhibitions including Fibreworks in Cambridge, Ontario and the Contemporary Craft in BC: Excellence With Diversity at the Vancouver Museum in 2008. She is a recipient of the 2008 B.C. Creative Achievement Award. Most of her current work is hand-felted and constructed. 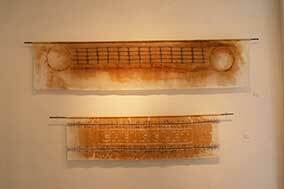 Her work is found in permanent Public Collections in the BC Provincial Collection, the Community Hospital Collection in Monterey, California, the Cambridge Art Gallery in Cambridge, Ontario and Shuzenji City Hall in Japan. Public commissions include United Churches in Trail and Nakusp, BC, Waldorf Schools in Nelson and Vancouver. There are numerous private commissions. 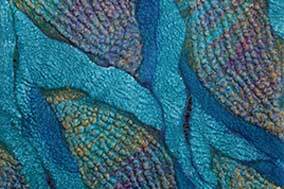 Angelika Werth is an instructor in the Fibre Department at the Kootenay School of the Arts in Nelson, BC. She also teaches workshops across B. C. related to Fashion, Furniture and Wearable Art. 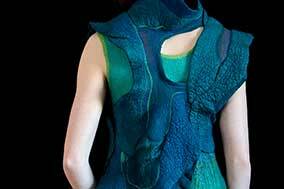 Fiona Duthie is a felt maker recognized for her dynamic, sculptural clothing and artwork. She first encountered felt making in 1996 and immediately it became her medium and passion. She explores personal stories and connections and communicates those narratives through surface design and form in felt making. Whether in clothing, artwork, or outdoor installations, Fiona’s work encourages the viewer to participate and engage, drawing out something deeper, bolder and stronger from within themselves. She strives for excellence in design and technique, while furthering the medium of felt through the use of new material combinations. Fiona has a full-time studio practice based on Salt Spring Island, British Columbia and has exhibited her work in Canada, the US, New Zealand, the UK and Australia. An artist who is popular especially in the felting world for her 3-D designs, extremely complex surfaces and extraordinary color hues of her works. Innovative fiber explorer, Katia pushes it forward creating with various plant-derived fibers and studying the endless possibilities in combining them with wool and adding new techniques to the well-known medium. Katia has been exhibiting and teaching throughout the US, Australia, the UK, Europe, and Canada since 2012. In 2015, she became a finalist in the prestigious NICHE Awards (NICHE Magazine and American Made Show) and received Tradition in Technique Award from the Surface Design Association in 2017. 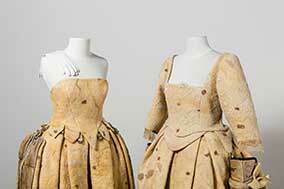 Latest exhibitions: 2016 Timeless Textiles in Newcastle, Australia; 2017 DHG gallery in Prato, Italy; SDA International Exhibition In Print 2017, Future Fabrication, Tradition in Technique Award. Katia’s works have been represented in many blogs, magazines, and books, including Folt Bolt art blog, DHG blog (Italy), Ver Filtz und Zuge Naht magazine (Germany), Belle Armoire (USA), Felt (Australia), Filtz Fun (Germany), Felt Matters (UK) , Surface Design Jornal, Textile Art Around the World, Worldwide Colours of Felt. Molly is a professional textile artist and designer craftsman specializing in felt sculptures, mixed textile art and Ottoman design. 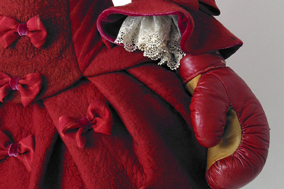 She uses a range of textiles and techniques including felted fibres, machine and hand embroidery and Lino print. Having spent her childhood in Africa and Turkey, Molly’s attraction to cultural textiles began early in life. She finds the colors echo their culture and environment giving them a spontaneous quality; their patterns are full of memory and metaphor and link us to a mutual past. Today, this influence has become an integral part of her textile design and study of Ottoman history and costume. Molly has a particular interest in the history and development of textiles in the context of ‘Women’s work’ and is inspired by the symbolism inherent in cultural designs. Her dissertation, in 2007, answered the question “ Why quilt? The People, Politics, Patterns and Processes that inform the American Quilt” – a fascinating study, for her, of the American quilt through the social and cultural history of the United States. More recently the deprivation and abuse of women is a concern and has been the subject of several exhibition pieces; she interprets her concerns through 2D and 3D figurative artworks. Molly supports women’s groups who promote the emancipation and education of women. 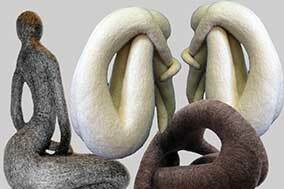 Molly’s figurative felt sculptures depict the body in motion, exploring body language to convey emotional states. 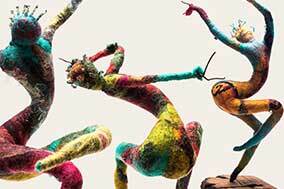 Contemporary and Modern dance is inspiration for the shapes and movement of the felt sculptures. Moving forward, experimenting and challenging herself in the research and development of a new project is the soul of her art practice. The small single dancers have morphed into new forms – a conglomerate of 30 small white figures strung together to create a wall hanging ‘Life Dance’, large figures suspended from the ceiling and, more recently, Molly has developed free-standing, life-size figurative sculptures in response to a private brief. She is currently working with felted fibres and clay to create ceramic figures for her interpretation of the 2019 Prism exhibition theme ‘Fragility’ with reference to current global warming and the frailty of humans in the force of nature. Molly has always stitched and created textile craft products however it wasn’t until 2003 that she studied Embroidered Textiles at Julia Caprara’s School of Textile Art and was introduced to the world of textiles as a medium for Art. She completed her degree with honours in 2007 and went on to teach Textile Design and Technology at Secondary School for several years before retiring to focus on her Textile Art practice. 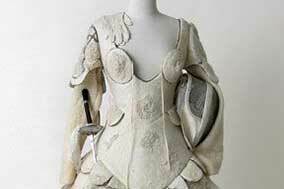 She exhibits annually in London with Prism Art Textiles and the Society of Designer Craftsmen. 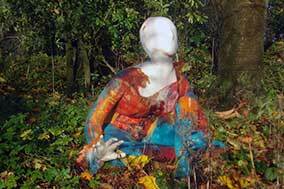 Her work has been shown at The Mall Galleries, Hoxton Arches Gallery, and the William Morris Gallery in London. She sells her work locally and internationally. 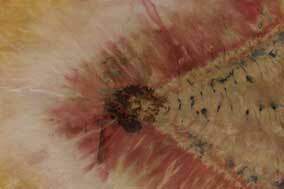 Rio Wrenn has been experimenting with natural dyeing and rust printing for almost 20 years. It is through her creation of conceptual works that her processes developed. But it is her keen interest and dedication to these processes that’s maintained and moved her artistic growth forward. In 2009, Rio developed a fashion label – R A W Textiles which started as a lingerie line through which she designed, dyed, and constructed heirloom quality intimates. After 5 productive years she restructured her studio work changing her collections to textile yardage and scarves. Rio’s processes include the fusion of ancient techniques and experimental adaptations such as shibori, katazome, rust printing, composting, natural immersion dye, indigo vats, fermentation, screen printing, painting, embroidery, sewing……. Rio believes the humming of the earth as it moves in cycles fuels her work and heals her spirit. Harvesting plants has always been part of her life so it seemed a natural and poetic gesture to create colors from fresh grown and dried plant parts that she collects as the seasons changed. Just as using natural materials informs her practice, Rio values integrating sustainable practices with heirloom quality work. Rio has taught locally, nationally and internationally, including a residency at Colour Garance in Lauris, France. Her work has been exhibited in local and national galleries. The pieces she has created over the last 10 years are a combination of abstract, repurposed, juxtaposed, fashion-forward, performance, and installation art. Of them, her most memorable was the Glean residency. This was 6 months of unlimited visits to the city dump to collect and create 10 pieces that would be shown in a gallery with 4 other artists doing the same thing. It was very spiritual and profoundly life-altering. 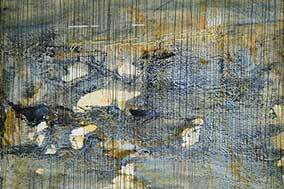 Roxanne Lasky is an artist who works with paint, metal, photographs, cloth and words. Her watercolor, oil paintings and quilting have won multiple awards. 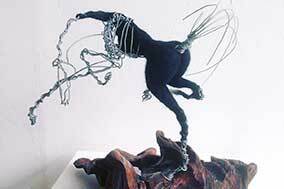 Her work has appeared in numerous publications and resides in public and private collections. 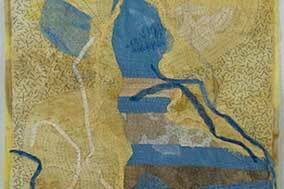 She holds a Master of Teaching degree and received the Manhattanville College Award of Excellence for her thesis project, Quilting: Model and Metaphor. Her passion is teachIng art methods to all learning levels with an emphasis on understanding one’s process and developing creativity.